Face towards the ground, I watch my feet move forward and peek out from beneath my long, large print, pink and orange floral dress. This is not a flashy dress by any means except for the bright color. This is a feminine dress, perhaps one that some would see as too young for woman of 52, or one wearing stereotypical middle-aged girth. I really cannot care less and firmly believe that that kind of thinking has no place in this world. As I walk through the breezeway between the parking garage my thoughts are deeply on two of my children. (The above thoughts were considered earlier.) Our son has just received a kidney. He received a kidney from one of our daughters, Caroline. Thankful and filled with gratitude, we still remain guarded. After two days of phenomenally good numbers, we are seeing a change. Though his sister is faring well, he is seeing not progress but regression in terms of kidney function. Blood counts are lower than is desired. Creatinine, THE kidney function marker, is very elevated. He is pale due to anemia. He is weaker than expected after the transplant. His blood pressures are extremely high. It is desired that they be elevated to adequately profuse his sister’s kidney now at home in him, but not to the extremes we are reading. I do not write essays, record my memories, these occurrences, as complaints. I recognize and write of them so others will again realize that they are not alone in these experiences. I write of my experiences and of those within my family to pass on hope. I write to see a added measure of desire within others to help people who could use an ear, a hand to hold, a few written words of kindness. It is worthwhile to hear of other’s difficulties. It is necessary to see the trials of others. Doing so gives perspective; it is regained if lost. Doing so can find one focusing on the genuinely important issues of living, namely family, spirituality (whatever that may mean to each), health (physical and mental), growth of mind and thoughtful learning, kindness and hope, with which one can find peace through any and all the tough realities of passing through this time here. As I hurry through the breezeway, I do notice a pattern on the ground. The sun has found its way through separations between buildings and left bright areas and shadows on the tar below my swollen, achy feet. Lattice work shadows are etched on tar with shadowed leaves, leaves that have woven their way through whitewashed woodwork. Ben is waiting in the lab draw area. Nerves are often on edge at this time. Measurements of creatinine, electrolytes, of any protein in urine, the red blood cell count, the white blood cell count, hematocrit, hemoglobin and platelets, amongst other measures, are our focus. Any subtle movement in numbers might signal a trend in a positive or negative direction of the fine workings of his sister’s kidney within him. It is a tedious time. One for which we will be forever grateful, though this moment is not showing us the results we expected to see. We remain hopeful. For besides following medical instructions and learning the percentages of overcoming these issues to assuage our worries somehow, this is what we have ~ hope. 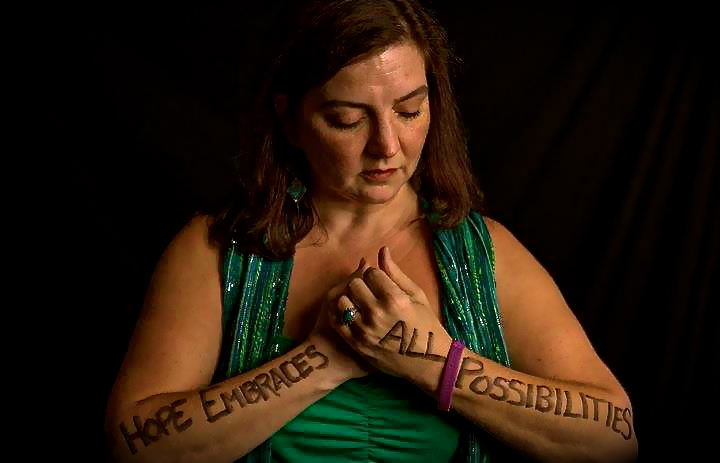 Expressing that hope can transfer it to others, other family members, friends, doctors and more importantly the patient. Having hope is necessary to heal. Though truths are told, not disguised, and days hold positives and negatives, hope must be gripped tightly. Sometimes holding on to hope is a significant factor in a positive turn. Ben embodies this; he owns natural possession of this, of hope. He does so without his own recognition. May he and each of my children continue to grip it tightly. These words were written during his transplant – acute phase. This, in my understanding, is the time period from actual transplant to a stable functioning kidney in its new body. The surgeries took place on June 19th, 2013 and the date of this posting is July 29th of the same year. Much more transpired in the month following the surgeries upon both children. That story is for another time. I wanted to point to hope; though worried, we held onto it. Ben is doing quite well now. He now is the guardian of his sister Caroline’s generous and loving gift, her kidney and a normal life, whatever that life might have in store for him and whatever he might have in store for it. The news this past weekend, of a creatinine of 1.2 and nearly perfect numbers throughout the remainder of his labs, has given the entire family a new beginning. This beginning will be overrun with light, much love and a healthy peace which comes with hope and strength. Ben drove to school today. After the closing bell, he had to run to the hospital to have labs drawn, get chest x-rays and an EKG. I was taking care of my daughter’s almost four month old and the family agreed the baby and I shouldn’t float around various corners of the hospital with such a little one. The reason for today’s visit was the first of many in preparation for a kidney transplant due to his fight against lupus nephritis. We were told Thursday a week ago he is being moved to the active waiting list, after being on the inactive list for a year. As well, Ben had moved from the children’s list to the adult list as he had turned 18 in December. With today’s lab results, the numbers regrettably looked more negative. They have remained fairly steady and this was an unwelcome surprise. With the move to the active list, it shouldn’t have been seen as one; it shouldn’t have been unexpected. In some strangely faithful, yet apprehensive way, we have been awaiting this change in various measurements in his blood. The creatinine lab measures, basically, kidney function. A good (read normal) number is 1.1 or 1.2 and below, depending on the laboratory used. Our son has lingered in the 2.0 – 4.0 area for a few years. I speak specifically of this number as it reflects the condition of the organs directly affected in our son. When he first became ill the numbers were higher; he at times was fighting for air. For a multitude of reasons related to the severe kidney damage and dangerous meds taken to avert more damage, he went through periods when he was consciously working, struggling, to breathe. A number of factors led to these episodes. His lupus attacked his kidneys very violently. As a result, his blood was not cleaned by the damaged organs and certain electrolytes built up in his system causing the notorious edema (fluid buildup) and dangerous cardiovascular problems including long-lingering high blood pressure. Frightening seizures and a slew of other issues ensued. Due to his several rounds of chemotherapy, which saved him by knocking the lupus attack off its feet, his immune system was in very poor shape. Infections periodically took over his body. Shockingly at one period throughout his ordeal, his white blood cell count dropped to an horrendous low, near zero. His absolute neutrophil count was near zero. Our Ben was terribly close to dying. As he laid in his PICU bed, in an induced coma of sorts, I had to say goodbye to him. I don’t think I actually comprehended what everything and everyone was saying to me. I didn’t want to comprehend. I tried to trick myself and deny the truth, though deeply inside I knew what was close and very possible. I had kept up with the daily labs, the every several hour blood pressure reads, the output of urine, the amount of fluids he consumed and I tried to learn as much as I could about this disease and other autoimmune diseases. I recorded everything, most likely to an extreme. Gene, my husband, held me as I cried at his cumbersome bed, as did my tearful daughters. They were on either side of me as we walked through the PICU; all nurses and staff there at the time turned and watched us leave through the strictly watched doors. In some regards it did feel as a funeral procession with guards turning towards the grieving family as they move through a cemetery lawn. I do not know how Gene stayed strong. I was not privy to all he knew as a doctor. The words “he might die” were not spoken aloud. Gene was protecting me, though somewhere I knew and feared the worst was to come. He drove two hours back up the road to take me to be with our other children. This drive was the most surreal I have ever taken. Then he had to drive back alone, with his thoughts and fears. What had taken place and brought him up to the PICU once again I have trouble revisiting. My husband and I have spoken of it often, but I cannot delve too deeply, nor for too many minutes. Benjamin had been in the Pediatric ICU. His overall health, relative to others in the PICU, was seemingly much better. This is how lupus and other autoimmunes can look to an outsider. He had been in trouble with extremely elevated BP and infections. The pediatricians covering the ICU that week believed him safe enough to go down to a regular children’s ward, 7B. Ben was extremely alert, though it was clear he was having difficulty breathing. He was retracting just as I had seen one of his brothers do when this brother was rushed to Kapiolani Hospital in Honolulu. In both situations it was surreal and horrid to watch. It was a difficult scene in which to be a part. Ten years prior to Ben’s steep fall from health our 2 month old, his brother Isaac became ill. At birth, Isaac was premature and not breathing. My OB left my side at delivery as they were using a “bag” to force air into his tiny lungs. Once we took him home from the hospital, though small, he was healthy. Two months later he began struggling again to take in air and I called 911. He was retracting. It is a bit like looking at a child sucking in his stomach to see how far he can. I remember seeing little Isaac on our kitchen counter on Aukai Avenue with several first responders, firemen with all gear on, leaning over him. After an ambulance ride with his oxygen saturation level hardly above the eighties, Isaac had a brief stay in the hospital. Once the sat level returned to normal, he was released. As all mothers, I desired to believe this was as horrific as life would get raising a child. Ben was very conscious during his struggle. Very alert he was at this time. As a mom, I had thought he shouldn’t leave the PICU. I didn’t want him to leave the PICU. After his bed was wheeled down two stories, our son was placed in a room on the ward in which we sadly felt more than at home. Very quickly he went downhill. His struggle became more and more obvious. On this particular ward I had fallen for the nurses as caretakers. We knew many and we felt at home with them, as much as one might possibly feel at home in a children’s hospital ward. Ben had been there that long. What took place on this evening was something several nurses seemed not to have witnessed before this. To describe this is difficult. This is the time period I stop short of visiting fully. I take incomplete glances and when I do I see little. I do see his eyes. I do see a sea of uniforms. I do see the male nurse standing at the back of the bed holding and adjusting Ben’s mask. That is all I can handle. Ben’s breathing became much more labored. He showed fear. On this particular ward, his struggle was not common. Gene and I looked at each other in an unspoken language that said more than any spoken language could. He was frightened. Gene, a neurosurgeon and a worried father, had to call for help, stat. I will never forget his stance and his loud call down the ward to the nurses station. Thank God we have him. I don’t think he will ever grasp the pride and gratitude I hold for him. As nurses ran, pulmonary moved in to give him oxygen, Ben’s eyes showed so much fear. They were large and rounded as he struggled and looked deeply into mine. He said at least once, “Mom, I am scared.” It was very difficult not to show my fear when crouching beside him as he spoke those words. I am sure I failed. When not at his side, I was pacing. Gene too. Though so many were over him, around him, working and trying to figure out next steps, and some staff simply watching the emergency unfold, I have never, ever felt so utterly alone, so completely helpless. I never have felt so paralyzed, yet frantic. Never have I cursed God, any and all gods, and begged God all in the same moment before then. I could do nothing to help him breathe. I could not lift the car off of his body. It has taken me four days to write of that specific time during this cathartic exercise. I have waited about five years to write this piece at all. I have skipped around in this story, jumping ahead in time and back again to avoid addressing those awful few days. Difficult to write, difficult to live through, but I still have him. Some people do not understand that autoimmune diseases, such as lupus, can be deadly and often are. It seems that they can be seen by some not familiar as an inconvenience with minor aches and pains. This is actually quite far from the truth, though all those affected may have different systems damaged or stressed. Eventually, after quite a few rounds of chemotherapy and high dose prednisone, the meds did halt the lupus’ attack. He eventually was deemed in remission, but the kidneys, we had been told, would work only slightly for five to seven more years. They have. They have with 15 or so meds daily filling in for what his kidneys cannot do alone, with countless adjustments. We have had some additional scares beyond the grand mal seizures of Pres Syndrome (Posterior Reversible Encephalopathy Syndrome) and high potassium levels. His seizures kept him in the hospital. His high blood pressure frequently kept him in the hospital in Charleston. Med management kept him in the hospital. The need for dialysis kept him in the hospital. An outrageously high creatinine level had him airlifted urgently to Charleston and we once again feared the worst. Through all of this and the biopsies and placement of ports, the heavy meds and immense swelling of his entire body, Ben remained a hopeful kid. He remained positive and couldn’t wait to go home. When we did, it never was for an extended period. In a matter of days we would return to the Medical University of South Carolina, a stellar hospital from which we lived only about 2 miles away when Gene was a med student and resident. Of course, Benjamin had days of frustration and moments of anger. Even still, optimism was the word of the day, the month and it all stemmed from him, though he knew he was seriously ill. Carefully, and with much forethought, we slowly gave him more knowledge about his illness as did his doctor, his rheumatologist, Natasha Ruth. (She is a very special person to all of us. She and his nephrologist, Dr. Orak, kept him with us.) Ben was only 12 when diagnosed. We let him know lupus is a chronic illness that cannot be cured. He would live with lupus. LIVE being the operative word. Some children with him in the PICU, some children with him on the chemotherapy ward would not have the option of living many more years, or even months. I will always be in a strange awe of the parents that have watched their child suffer with sickness and have lost their cherished one. I do not know how they continue day-to-day. Through this experience, I indeed was gaining a small bit of insight into their lives, though I never was forced to go over the cliff. I never had to fall so far. Nevertheless, I was gaining insight into something no one wants to see or of which to learn. The lupus numbers still have him in remission. The kidneys, however, are seeing their last days. Ben has indeed begun the climb up to the next branch on the tree. He may be scratched by the bark and small limbs, but he will be stronger and higher once he has finished the climb. Children weighed down by illness of any sort are often quite resilient and hopeful. At some moments they are seemingly weightless, not held down by sickness. My children have taught me so much about living, resilience, unwavering strength and rising above. They are my heroes. Gene and the doctors are my heroes. Ben is my hero. If you, as a reader, feel any desire to help children with lupus, please share this piece to raise awareness of this insidious disease. Many will be grateful. My family and I will be grateful. I clearly recall a trip to see a marionette performance, with my mom and brother, at the Smithsonian. At that moment, I did not realize how fortunate he and I were. I felt like a cast member of “The Sound of Music“. My Mary Jane shoes and nice winter coat made me feel ever so special. I feel somewhat guilty for the experience. Such experiences, and living in our nice home off of the GW Parkway, seemed the norm to me. Looking back, driving to my Dad’s office or going out with my friends, I often saw the marker that is theWashington Monument. Seeing the monument, living on what was farmland of our first president instilled something in me that I have denied. I felt a draw to service, not political mind you, unless it is in a background capacity. I feel remiss in knowing I have not given enough of myself. I feel remiss in knowing that I have not given enough of myself to make a difference (hate the cliché) in truly substantial ways. I place the emphasis on the word, ”given”. Non-profit. Nothing in return for having contributed. Though this may not be completely true. I would like, nothing monetary, nothing more than to have raised children that feel a sense of deep compassion for all, tolerance and acceptance of all that differ in their views, and a desire to help those less fortunate. This would be a very positive by-product. His birthday. Candles, seventeen of them, white and black stripes and black with white polka-dots, stood tall on the cake the kids decorated. It is a family tradition that the kids decorate their own cake, with the help of their siblings. The Birthday Child has full artistic control. In this case it was Ben. Four years and some months ago I sincerely wondered if we would see this day. His rheumatologist and nephrologist visited our semi-private room on the seventh floor of the Medical University of South Carolina in Charleston. What seemed as many as 15 or so residents and nurses gathered just inside the door, to learn how to deliver unacceptable news, in the case of the young doctors, and to lend support, in the case of the nurses, as one of the two doctors rendered the news that crumbled our world. Our son was not expected to do well. He was given a few years if radical treatments were not initiated now. Residents’ coats and scrubs stood in a seemingly endless group just inside the door. Wide eyes full of sympathy and maybe empathy, a sea of white and teal, stared from the other patient’s side of the room to see the reaction that followed the words. It was as if I went inside myself. I was living something shocking, surreal and horrifying from deep within my head. It was the opposite of an “out-of-body” experience. I was peering out from a cave. The feeling was akin to nightmares, one in particular. I am smothering under sheets that are piled heavy upon my form. I pull them from my face only to find more. It seems never-ending. Ben was diagnosed with lupus nephritis at an extremely late stage. As the physician spoke, my eyes became tear-filled and I worked hard at not revealing them to my son. The pressure built in my eyes and head as I tried to shake them away, tried to quickly not believe what I was hearing. At twelve, my son did not understand the gravity of what the large man in the motorized wheel chair had to say. I was jumping from disbelief to shock and back again. As a tears rolled down my cheek, I saw one nurse pass a box of tissues to another, and so on it was moved around the room. I felt anger at first that they would draw attention to my tears. When it did, in genuine kindness, pass to my hands, I rubbed Ben’s head and said, “Do you have a runny nose?” It took so much to speak without a crack in my voice. (I am still not sure that I accomplished such.) As he turned to answer me in an amazingly calm voice, I looked away and made a few gestures to divert his attention from my eyes. We hear of the before and after. We hear of moments in people’s lives when their life takes on a dramatically different meaning, purpose. The entire perspective from which they move through daily life has changed, so as to live from another point of reference. This was that moment for me. Incredible how a few words strung together in a particular pattern shift one’s entire point of view, about everything. Priorities shift. Even though I believed mine to have been in appropriate order, some aspects of my life took on a much smaller presence, and less importance. Reality stared me straight in the face. It stared harshly and beautifully at once. I actually did see a bit of beauty in this moment and have seen it in Ben every moment since he moved to the hospital for a nearly six month stay. My son never seemed so perfect. With his body hurting, with it failing to keep him physically strong, I saw an incredibly beautiful strength in him. From that afternoon to the present day Ben has withstood innumerable blood draws, central lines and biopsies. This kid with the “take it all in stride” attitude has spent hours in dialysis, in pediatric ICU’s. He has endured eight rounds of chemotherapy with all the included nausea and stomach turbulence. He lost every bit of his hair due to the medicines that gave him a second chance at life. He has lived with extreme edema and seizures. He has learned to walk again after tremendous weakness rendered him unable to do so, at all. I have witnessed the incredible beauty of his endurance and of his faith that he would again behave as other boys. Birthdays are a different sort of celebration now. This day, with a cake exploding in creative color, celebrates his life, his strength and his second chances. As he blows out the candles representing the years he has lived, there is one flame to me that is more beautiful than any other. This candle, with black and white stripes, is the one that stands for the year he has just lived. It also marks the beginning of a new year in which to live, love and learn with beautiful strength and priorities in place, for Ben and for his family. Ben says this somewhat laughingly as I give the boys their lunches. School days are homeschool days and making lunch is a blessing. Raising four of my six children throughout the full day has been a lovely, messy dream come true. I do wish I could have done the same for all six. 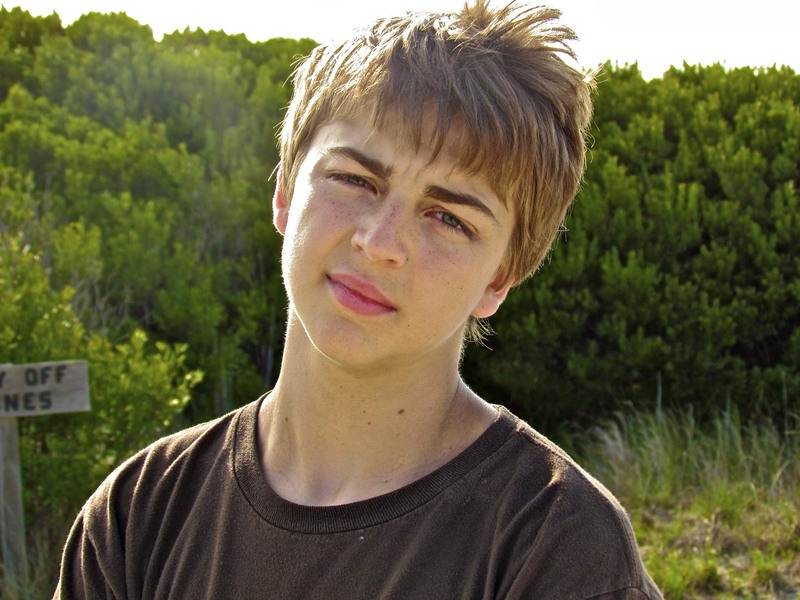 The words Ben spoke are very difficult to hear – particularly from my 14-year-old son with lupus nephritis. I respond with a comment along the lines of, “Nobody has a so-called normal life.” ”Normal is different for each of us.” He has experienced so much pain, and shown very little fear throughout the course of the disease and its treatment, and his eyes still dance; they shine with the exhilaration of living. He has lived life without knowledge of the cliche. He lives life in the moment. He loves Jim Carrey, possibly due to the fact that he has a very animated attitude and voice. Ben and Jim. My son has a very expressive face, the eyes in particular. His eyebrows and mouth combinations can have us laughing in seconds. Throw in some fun dance moves and we are gone. (Swear he should be on stage.) He feels and takes so much from every event; laughs and feels it fully. He has a ferocious appetite for life when given the opportunity to explore. Without the intent or thought of doing so, this is very visible and contagious. A parent’s greatest fear, for many is a reality. Death of a child. I still have my Ben, and for that I am more than grateful to God, to all Gods of all religions, to luck, to modern medicine, his doctors and my husband. Losing him, losing his physical presence in our lives here, was a real thought that we had to seriously contemplate on three occasions, each in sincere shock. Strange to find oneself in that position. Very surreal. The rest of life, that outside our circle of loved ones, finds its appropriate place behind family. The rest of life reveals its true value by settling on a lower rung of the ladder. As well, life becomes something that lives in a different realm. Touch. Speak. Smell. See. Hear. One becomes aware of another sense of our being, a connection on a different level. Love moves to someplace inexplicable. Perhaps this has always been available to us; though we do not see it unless forced to do so. Could it be that the now conscious, mental, emotional connection is primary and perchance allows separation from the physical senses, the physical being? I suppose that prospect should be reassuring. It is I suppose. I hold close that connection. Yet at the same moment I do not ever want to understand, or even begin to understand again, the raw, profound emotions, and connection that surrounded those days. I want his eyes to forever dance.